God's Word is designed to create us into His image and likeness as Man was in the beginning, and to make our lives the best that they can be. God designed the entire universe by His Word. All was to work in harmony, love, peace and submission. The Godhead created the seasons to run their course. The sun and moon shine their light at their appointed time. It is being submitted to God and His Creative Word--both the Living Word Jesus and the written Word--and being united in faith, love, peace and harmony with other members of the Body of Christ that our light shines brightly to a lost and dying world. God's creative Word creates! It is by the Word and the Holy Spirit that God is recreating us into His image and likeness through His Son. Jesus is the express image of the Father who came to earth to show us the Father and His character. The Living Word Jesus is powerful, living and active as His Word is living and active and more powerful than a sharp two-edged sword because Jesus is the Word (Truth) brought to life. Jesus wants to bring His Word to life in us also. It is doing the Word that makes it come alive in us. In other words, when we do it, the Word of God it is living, active and powerful in us. As Jesus walked the earth, He was the visible demonstration of Truth and the power of the Eternal Word. 1 John 1:1: That which was from the beginning, which we have heard, which we have seen with our eyes, which we have looked at and our hands have touched,this we proclaim concerning the Word of life. John saw and touched Jesus, the Word of life walking in the flesh. As we walk with Jesus--the Substance of the Word--and apply the Word into our life by doing it, Jesus is expressed in us and sent forth to others. What we are becoming is our witness, not what we are doing! The written Word must become the "living" Word in us. The more Jesus increases in our lives, the more He is glorified. We lift Jesus higher when we obey His Word. Jesus said, "If I be lifted up, I will draw all men to Myself." It is Jesus and His ways in us that will draw people to Him. Jesus sowed the seed of His Word on earth in the humble nation of Israel and its surrounding areas. It was a small beginning that has spread to the four corners of the earth because of the faithfulness of a few. The Bible says that God doesn't despise small beginnings! God's Seed must be sown in a humble place. Jesus revealed the mysteries of His kingdom to His disciples who would in turn plant the seed of His Truth into others. The seed of Truth (Jesus) cannot be stopped because it is anointed by the Holy Spirit of God. God waters the seed! As the seed of man brings forth humans in the flesh, the Seed of God brings forth life in the Spirit. Once the Seed of God's Word is sown through a believer's mouth, it cannot be stopped because it is watered by God and will accomplish that for which He sent it. Those who receive the Seed of God's Kingdom--Jesus/Word--are born again spiritually. Then Jesus and the Holy Spirit will begin the process of spiritual maturation. The triune God will crucify our sinful nature--putting to death the corruptible and raising us up into the incorruptible--Jesus and His resurrected life. (see Galatians 5:25) Spiritual growth is a slow process, but God says that what He has started, He will complete. God will send the dew and the rain of His Holy Spirit and the Light of the Son to cause the seed planted in our hearts to grow, mature and reproduce. All man can do is sow the Seed of the Word. He doesn't have the power to make it grow. Only God can do this. The life placed in that Seed is by God Himself. We must trust God to bring it to fruition. How the Seed will be received, however, is our decision. We must hunger and thirst for it. In the parable of the Sower and the Seed in Matthew 13, Jesus spoke about the four types of soil in which the Seed is sown. This parable is in all four gospels. It is an important parable. Jesus considered it so important that He even gave its interpretation to His disciples so they would know beyond a shadow of a doubt its meaning. It is the key to all spiritual growth and reproduction. The Word contains all of the Seed we need to grow into the image and likeness of Christ and bear spiritual fruit. Our spiritual decisions will determine how much of Jesus and His Word are "in" us. Saul saw the Light of the world--Jesus--and was called by Him to repentance and submission to His Word. Saul the murderer whom Jesus transformed into the Apostle Paul wrote much of the New Testament. Jesus not only transformed Paul's heart, He gave him a new spiritual name. God is in the transforming business, but we must cooperate by submitting to His Word and will. Inspite of what Saul had done in his zealousness for the Law, Jesus saw his heart for God and saved him from his blindness to the Truth and then used him in a mighty way for His Kingdom. God wants to do the same for every man, woman and child because of His love. Jesus uses an agricultural process to explain the sowing of His Word--its planting, growing, maturing, reaping and harvesting. If there is no seed sown, there is no harvest! As in the natural, the Seed of God must be planted in the soil of the hearts of believers. But first the soil must be prepared to receive the seed. The earth must be turned over and the weeds and rocks of stumbling removed to make way for the new seed. Jesus wants to turn over our earthly nature, so we can grow into His nature. When the weeds of sin and stumbling stones are removed, the Seed of God has room to take root, sprout, grow and bear fruit/grain and reproduce more fruit and grain. Grain will pollinate producing more grain. When we speak forth the seed of the Word to others, it is spread. Fruit reproduces through the seed within it. The fullness of the Holy Spirit and the fruit of the Holy Spirit will produce more seed and fruit. As God supplies the sun and the rain to produce natural fruit and food, He produced the Son of God and the rain of His Holy Spirit to produce spiritual fruit in the hearts of believers. Jesus sowed Himself in death so He could pour out the rain of His Holy Spirit to bring us into His new resurrected, spiritual life. Because He loves us, He wants us to receive the fullness of all that He came to do. There were four types of soil in which the seed was planted in this parable. The soil is the human heart. Wayside hearers --Some fell by the wayside and the birds ate it. It went in one ear and out the other so the devil and his demons stole it and ate it up. Stony ground hearers--Some fell on stony ground where there wasn't much room for it to grow. This represents believers whose hearts are still stubborn and hard. The Word is shallowly received without deep roots so when the heat of the sun came up, it withered and died. Thorny ground hearers-- These hear and receive the Word, but sin chokes the plant from growing. The cares and lusts of the world come in and ruin the Word in their hearts. These have no fruit because other things in their life choke the Word in them. Good ground hearers--These hear the Word, understand the Word and receive it into their hearts because their hearts have been broken open (turned over). These believe the Word and keep it. These produce a crop. The prophet Amos spoke of a time when there would be a famine of the hearing of the Word of God. The famine was not in the sowing of the Word, but in the hearing! Amos 8:11: "The days are coming," declares the Sovereign Lord, "when I will send a famine through the land--not a famine of food or a thirst for water, but a famine of hearing the words of the Lord." This happened before Jesus came the first time. 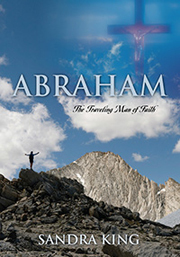 God had been silent from Malachi until John the Baptist. John the Baptist revealed the Supreme Prophet of God Jesus. There will be a famine of hearing the Word again before Jesus comes to earth the second time. The fault is not with the Word, it is the heart and ears of the hearer! We must take heed what we hear and how we hear it. Jesus ended this parable by saying, “He who has ears, let him hear.” Mt. 13:9 Jesus is telling His disciples that they must receive the Word and establish its root system in their heart by doing it. The Great Multiplier--Jesus--will multiply the seed sown in good soil. Jesus must turn over the soil of our fleshly heart so His Seed/Word is sown in good soil that will reproduce spiritual seed. Jesus is infinitely patient, long-suffering, kind, loving and gentle with us as He turns the soil of our hearts and plants Himself in us. He wants us to keep our ears and hearts ever seeking to know Him in a deeper and deeper way so we can reach the full measure of love, abundance and fruitfulness He died to give us. Submitting to God and His Word and ways is geared to seek the best for us and those in our lives. When we say we love Jesus, it is no longer you or me....it is Christ in us living through our actions, words and deeds. People watch Christians so our lives are always shaping someone's opinion about God and what it means to be a Christian. This is an awesome responsibility! As Jesus brought glory to God through His actions, words and deeds, God wants us to bring Him glory through our actions, words and deeds. We must seek God's Kingdom first by submitting to God and His Word. Jesus was the perfect illustration of this. "It is God who works in you both to will and to do His good pleasure." Phil. 2:13 It is not "our" good pleasure that we are to do but His good pleasure. If we insist on doing it our way, not only do we lose, but God's kingdom also loses and Satan is delighted with the confusion, hurt and injury he has caused. There are treasures to be gained when we love and commit to God and His ways. God is pure, perfect love. As we learn more about God, we learn more about love. Commitment is necessary to build a lasting love relationship. Jesus said, "For which of you, intending to build a tower, does not sit down first, count the cost, whether he has enough to finish it." Luke 14:28 God wants us to finish the race toward His love and our inheritance. He has given us all we need to get there through the love of His Son Jesus. All that belongs to Jesus belongs to us. We have His love and power to finish the race! Run with faith and patience but keep running. Selflessness is the root of a Godlike love. Jesus walked the earth doing selfless acts of love. He had no material wealth--not even a place to lay His head. If God loved us enough to give the life of His own Son, we must recognize our worth! Jesus loved us first! We couldn't earn His love. He gave it freely and willingly. God wants to love us into our best. This love is God's nature. We must willingly give our all to Him and to those He puts into our lives. Dare to believe that you are worthy of this love and give this same love to others. The road toward a Godlike love may be long and hard, but God will set our feet upon His path if we are willing and submitted to Him and His Word.